The two stand out tracks are undoubtedly the opener Lovesong (see below) and the closing Dream Girl. 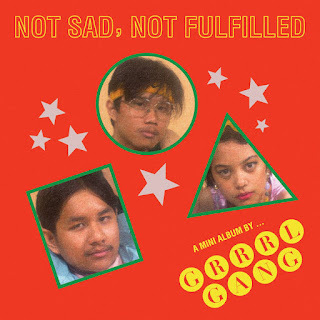 These tracks offer mid 90's jangling riffs/slightly disinterested female vocals of bands such as The Popguns or the less manic moments of Even As We Speak. Its pretty, insistent, guitar driven indie pop, which always retains enough muscle to prevent itself falling over its own niceties and over the tweepop precipice. These two tracks book end Pop Princess and the delightfully named Guys Don't Read Sylvia Plath, which hint towards the garage-punk energy of Riot Grllll thematics, but ultimately remain with two feet planted firmly within the pop spectrum, based on the melodies that never fail to squeeze through the extra aggression. The other track, Night Terrors (see below) has to be considered as 'the best of the rest' as the female vocals are replaced by the Harvey Williams style vocals, as Sarah Records style fluttering fragility adds an antithesis to all that has gone before and emphasizes the fact that this band have the ability and inclination to mix up their aesthetic without presenting obvious seams. 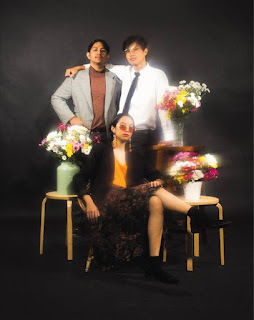 A great debut EP and one that fully justifies all manner of 'follow' buttons remaining well and truly clicked and another notch on the bedpost for a burgeoning Indonesian scene.